Data destruction is a term that has become increasingly used in today’s modern technological world. Just like we value our physical possessions, today data in form of information is equally valued and possessed by all, consumers or business owners, whether privately or publicly run. It is really critical for a business to see how data is destructed when the media changes hand or disposed of. How do we define Data Destruction? Data Destruction is defined differently by many industry leaders. Most of the time people confuse data destruction with data deleting or formatting. When data is deleted or drive formatted, it is no longer accessible by the operating system but it can surely be recovered using a professional data recovery tool. Hence we need to perform data destruction. Data Destruction is defined mostly as a process of destroying data stored on different storage media including hard drives, solid state drives, flash drives, mobile devices etc. so that it is completely unreadable and cannot be accessed or used for unauthorized purposes. Data destruction can be broken down to physical destruction and non-physical destruction. Physical destruction is degaussing the hard drive or storage media by changing the magnetic field. Data can be physically destructed also by shredding the device too making it completely unusable. Either method of physical destruction is not environment friendly and should be refrained from usage. Non-Physical destruction is data wiping or data sanitization using software that overwrites available space / blocks with random data until it is considered irretrievable. Data sanitization is done by wiping the media using a professional erasure software. This method of destruction is considered environment friendly and helps in reusability of storage device. Most IT Asset disposition companies and refurbishers prefer to use data wiping software like BitRaser to erase data from hard drives, mobile devices, severs beyond data recovery scope. Why is data destruction essential? According to CNN Money, close to 50% of Americans have faced some kind of risk to their personal information. Various organizations including the Federal government have been the target of data breaches. Entities need to ensure that no compromise on data privacy is done when they dispose their data on media related to business. They need to make use of optimum measures to make it impossible for hackers to decipher the data on the hard drives. Preferably, one must work with certified data destruction software like BitRaser. Does Data Go Forever when we use a data destruction software? Data wiping in its true sense, is making the entire data inaccessible on a storage device. This storage device can be internal or external to the computer, server or any similar paraphernalia. 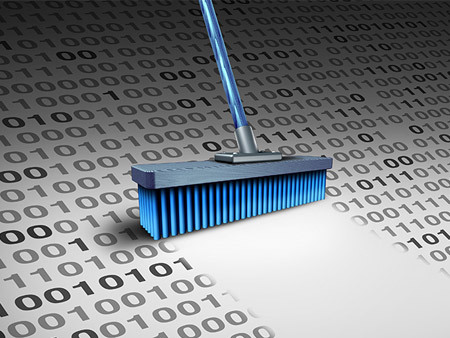 The whole purpose of data wiping is to prevent data-breach from end-of-cycle IT assets. And if the data on storage devices is erased through BitRaser a certified data erasure software, then it even makes the storage devices fit for reuse. The process of data erasure of storage devices and further reusing them for storage of fresh data, minimizes the need for new storage devices thus helping in significant reduction of e-waste. Ensures complete and certified data erasure thus prevents breach from the old equipment for the organizations who follow the policy of replacing their old equipment with new ones. Saves from huge amount of losses to the organizations or individuals by erasing critical data from almost all storage devices and cellphones. Optimizes and enhances the life-cycle of storage devices and helps save resources. Contributes to the environment with reduction of landfills. The next time you intend to buy a new cellphone or a hard disk or any other device with storage capacity, ensure that you wipe-off the data from the old device with certified & secure BitRaser data erasure software.